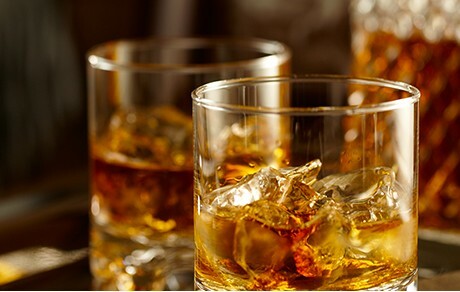 What's on your mind when you sip your favorite Scotch, bourbon, or whiskey? Politics, maybe? Philosophy? A funny Tweet you read on your phone just now? Few of us spend cocktail hour contemplating wood, but it's impossible to overstate its importance in the production and taste of brown spirits. Dan Szor, CEO and founder of Cotswalds Distillers, estimates wood is responsible for 60 to 75 percent of the taste of a finished whiskey. "Wood is known for its ability to 'take out the bad' through evaporation," Szor says, "and 'put in the good' through extraction of tannins and wood sugars." A whiskey that has not spent enough time in the barrel will exhibit too much "spiritiness," Szor says, or be overly sharp. It might also present off-notes on the nose and palate. Wood affects what Szor calls "feinty notes" such as solvent, turpentine, and meatiness in spirits. "There is also the flavor imparted by previously held liquids," Szor says, such as bourbon or sherry. The Macallan has its own "Master of Wood." His name is Stuart MacPherson and he shepherds chosen woods through the sherry seasoning process in Jerez, Spain, all the way to the aging process in Scotland. "A lot of companies will just buy casks," MacPherson says. "They're on the open market. They're readily available." The Macallan, however, is so obsessed with wood that MacPherson visits the cooperages and sherry bodegas to ensure the process is running smoothly. Wood "is one of just four raw ingredients in single malt whiskey, the others being barley, yeast, and water," Westland Distillery blender Shane Armstrong says. Once they've gotten the right wood, skillful distillers treat it with care to impart certain flavors to spirits. "I would say that toasting temperatures is slightly more of a priority," says MacPherson. Toasting develops sweet, warm, and woodsy notes from the barrel. Heat breaks down certain chemical compounds in the wood that start to release the sugars that provide desirable flavors. "It generally comes down to strength and porosity," MacPherson adds. Oak is the most commonly used wood not just in Scotch whisky and American bourbon, but also the wine industry. "Because of its primary role, aging in oak is often seen as the one true bellwether of quality," Shane Armstrong, Westland Distillery blender, says. Below are the five types of oak most commonly used, as well as woods distillers avoid. American oak is particularly good for aging spirits due to its relatively small and tight grain, which releases tannins more slowly than its European counterparts. "This means that whisky can be aged for longer, without becoming over-woody and is particularly important in warmer climates such as Kentucky, or in Asia," says Szor. "American oak is higher in vanillin and oak lactones which we feel complements rye whiskey," Bruce Joseph, master distiller, Hotaling & Co., says. American Oak barrels are typically charred on the inside by briefly setting them on fire. That char helps open up the pores so the spirit can more easily enter the wood. "It also caramelizes the wood sugars, which is partially responsible for the vanilla, crème brûlée, and honey notes found in many bourbons," Szor adds. Unlike the sweet flavors of white American oak, Sessile European oak provides a high level of tannins and darker, spicier notes. High West master distiller Brendan Coyle calls this "oak spice. Think low-level peppercorns and potpourri." This European oak provides more wood structure and tannins more quickly than other types. "It is the wood usually used for aging sherry, port, and many European wines" Szor says, "So these barrels will also impart fruity notes, due to the several liters of wine previously absorbed into the wood." Red fruit, berries, peach, Seville orange, and apricot notes are found in spirits aged in ex-red wine casks. Sherry and port or Madeira casks will impart more dried fruit flavors, such as raisins, figs, and fruit cake. These are prized by fans of single malts. "In Japan, Mizunara oak is commonly used to age whisky and imparts a very specific flavor profile," Szor says. Mizunara oak has a higher moisture content than most other oaks used for whiskey. It's also much more porous and imparts flavors like vanilla, honey, dried fruits, and cloves. "One of the more exciting oak species we work with is a native oak called Quercus garryana, or Garry oak," Armstrong says. "This is a species of white oak only found in a narrow band of the Pacific Northwest stretching from southern B.C. down to Northern California." Garry American oak is a new favorite of many distillers because it imparts distinctly dark, complex notes. Molasses, clove, smoke, and coffee grounds are among its rich, spicy flavors. Although other woods like chestnut, maple, acacia, and cherry can and have been used for aging spirits, they are not allowed under the Scotch Whisky Association's rules for Scotch whisky. There is therefore limited demand for and even smaller supply of these barrels. "In the past, chestnut was used," says MacPherson. "But it's extremely hard to work with. It's extremely porous." Typically, the woods that are considered "bad" for aging are woods that lack a certain structural integrity. That leads to leaking and higher losses. "Maple wood is a good example of this," Coyle says. "It's produced good whiskies but losses tend to be higher." 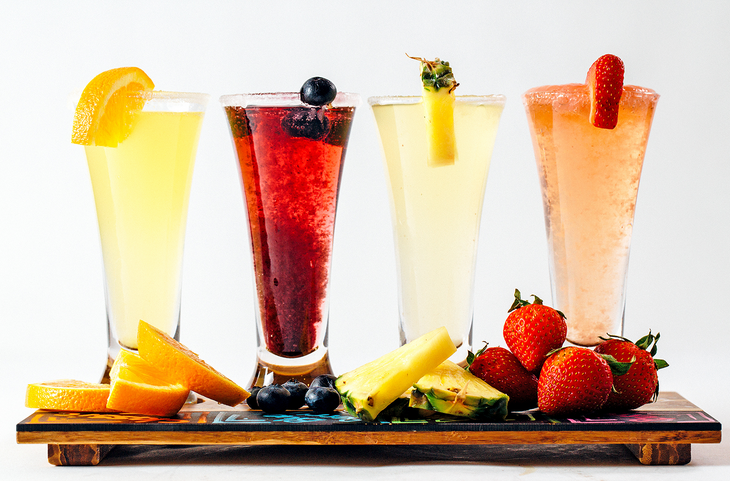 Mimosa Mash Up —4 Takes on Brunch’s Favorite Cocktail! Who doesn’t LOVE a Mimosa? One part champagne, one part citrus juice, all parts FABULOUS! So fabulous, in fact, that there’s even a day set aside for celebrating this fabled cocktail: National Mimosa Day, celebrated each year on May 16th. With roots that can be traced back to the Hotel Ritz Paris in the mid 1920s, Mimosa are a staple at brunches, weddings, and with the “ladies who lunch” crowd. Pour in glass and garnish with fresh fruit. In a separate container, crush and muddle the strawberries until pureed and then add to a champagne glass. Add strawberry juice/smoothie for added sweetness. Fill the rest of the glass with champagne and use the strawberries for garnish. Combine pineapple juice and maraschino cherry juice in champagne flutes. Top with champagne and garnish with orange slice. Pour pomegranate juice into a champagne flute, top with champagne and garnish with pomegranate seeds. Whether you like your Mimosas straight up classic, or with a fresh new twist, they’re easy to make — and easier to drink — so you’ll definitely want to try them all! 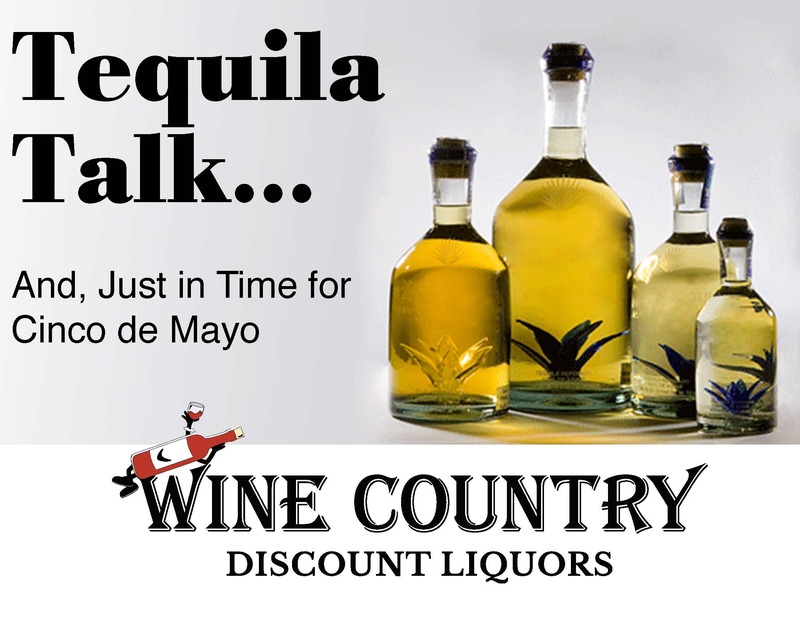 Tequila Talk… And, Just in Time for Cinco de Mayo! This year Cinco de Mayo (one of our favorite holidays) happens to fall on our absolute favorite day of the week — Saturday. It’s like the planets are all aligned for some sort of epic Cinco de Mayo party! And we’re ready, with an assortment of tequila recommendations and some can’t miss food pairings that will make your party one that will be talked about for a long, long time! Tequila — nectar of the Gods! Skip those awful worm-in-bottom-of-the-bottle stories (that’s actually mezcal, not tequila). Real tequila is distilled from blue Weber agave and is exclusive to the Jalisco region of Mexico. The agava plant takes years to reach maturity—about a dozen to be exact—and is protected by thick leaves and razor-like thorns. To make tequila, the enormous heart of the agave plant is peeled, roasted and crushed to make a sweet juice that is fermented, distilled (often twice) and aged in bourbon casks. There are actually three major categories of tequila: Blanco, Resposado and Añejo, with each having distinct differences in their production and flavor profiles. Blanco - The purest flavor of tequila, this white tequila has been aged less than three months. Reposado - Meaning “restful”, this type of tequila is aged or “rested” in white oak casks from 2 months to a year, giving it a mellow oak flavor combined with the flavor of the blue agave. Añejo - A sipping tequila, Añejo is aged, in smaller batches, in white oak casks for over a year taking on the flavors of the wood, while mellowing the harshness of the alcohol. Blanco tequila is perfect for shots and is our recommendation for making the classic Margarita. Reposado and Añejo tequilas can be sipped like whiskies, enjoyed as shots, or used to create a truly decadent cocktail. Cinco de Mayo Food and Drink Essentials! With your new-found tequila expertise it’s time to select the perfect tequila-pairing foods to really put your entertaining into high gear. Obviously a Mexican spirit works best with Mexican foods and flavors, and there are so many options to choose from other than your basic taco. Tacos - Blanco tequila works with fish tacos, Reposado for meatier tacos with beef or pork. Ceviche - perfect with Blanco tequila (which also happens to work with sushi if Mexican food is not your thing). Grilled seafood - another great food partner with Blanco tequila. Avocado - wonderful with Reposado tequila. Grille Pork or Pork-filled Empanadas - serve with Reposado tequila. Steak and Burgers - you can choose either Reposado or Añejo. Either way, you can’t go wrong. Chocolate - Añejo tequila, like other aged spirits, was practically made to pair with chocolate, both dark and milk varieties. 1. Run lime wedge around the outer rims of glasses and dip rims in salt. Set aside. 2. Combine combine tequila, Cointreau, and lime juice in a cocktail shaker. Fill with ice and shake until thoroughly chilled, about 15 seconds. 3. 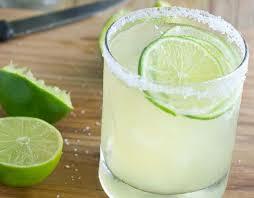 Fill glasses with fresh ice and strain margarita into glasses. Garnish with lime, serve and enjoy! Happy Cinco de Mayo — Cheers! Distilling whisky requires a special balance. On one hand, distillers are pressed to produce a consistency of flavor year after year to maintain brand loyalty. On the other, there is a desire to delve a bit deeper, to nudge the tastes of a classic whisky into new territories without compromising brand integrity. This is where the world of wood-finished whiskies is finding a growing audience of admirers. Wood finishing (or secondary maturation) is a relatively recent phenomenon in the scope of whisky history. It refers to taking a fully matured whisky – commonly aged in either an ex-bourbon or sherry cask – and then re-casking it for anywhere from a few months to a few years in another type of barrel, such as a spirit, wine, port or sherry cask. The initial maturation establishes the familiar taste and body while the secondary maturation enhances the flavor. The result is a whisky with its own unique shades and subtleties. The practice only started in the 1980s when some independent bottlers started to experiment with different wood finishes. Credit the likes of Balvenie and Glenmorangie for taking it more mainstream – they were among the early adopters, experimenting by re-casking single malts into sherry butts. A steady march of other distilleries followed in step. Two main factors contribute to the taste of a wood-finished release. There is the wood itself, which imparts a distinct flavor, and then there is whatever previously occupied the cask, as casks absorb a significant amount of the previously held liquid. This is commonly referred to as the ‘in-drink,’ which is drawn into the whisky to help add greater texture and taste. Discussions range over which exacts the greater impact on the final product, but whatever weight each factor carries, the combination creates something wholly unique. Beyond the inherent trial-and-error nature of the practice, not all casks are appropriate for secondary maturation. The pronounced flavors of some casks may simply overwhelm more delicate whiskies, while lighter-flavored wine casks would hardly register any influence if matched with a more heavily peated whisky. The key is to find the complementary flavors that deepen the taste profile and highlight the best of the original whisky and the ‘finishing’ factors. Whisky admirers tend to have strong opinions about what they like and what they don't. While the smoky character of peated whiskies is a dividing line for some and a gathering point for others, there’s no denying that it has helped drive Scotch’s appeal around the world. Here's why smoky, peaty whiskies attract such a following. Peat is decayed organic material that has been compacted over thousands of years. With peat bogs prominent throughout Scotland, peat has long been used as fuel and has provided a natural source of heat in the whisky industry. Here, it is sliced and dried into briquettes, which burn at a consistently high temperature. It is the burning of peat underneath the malted barley as it dries that imparts the grain with that unmistakable smokiness – the longer the exposure to the smoke, the greater the intensity of peaty flavor. Of course, there’s no painting the quality of smoke with one broad brushstroke. There are varying types of smokiness due to the different processes, shapes of stills and various techniques that contribute to the final taste profile. There’s also something to be said for regional influences and natural elements such as the salt spray from the sea that can add more pronounced characteristics to the whisky, highlighting different shades of the peat. The whisky industry has developed a scale to help admirers zero in on their preferred intensity of smoke. Peat smoke contains chemicals called phenols, and once the malt has been dried and taken away for mashing, the phenol count is measured in phenol parts per million (PPM). That number indicates what level of peaty flavor to expect – Bruichladdich ranks at 3-4 PPM, Highland Park at 20 PPM, Lagavulin at 35-40 PPM and Ardbeg at 55 PPM. Take your lead from that, but the best way to judge different flavors and distinguish the nuances that each distillery delivers remains side-by-side tastings. For those intrigued by the region that delivers the peatiest punch, look no further than Islay. This is ground zero for peaty whiskies, and Islay has long staked its reputation on these distinctive flavors to attract a fervent following. In addition to Ardbeg, this is where a number of prominent brands, such as Laphroaig, Bowmore, Lagavulin and many more operate. Again, upon closer inspection, it is remarkable the varying shades of smokiness that each distillery produces. Many factors contribute to creating a whisky’s complexities – the unique dynamics of production, the aging process, the type of still, the provenance of its barrels. For the flavor profile’s first stop, however, we must go to the grain. In the world of whisky, four main grains stand out: barley, corn, rye and wheat. Each contributes to a fermented grain mash that gives rise to the spirits distillers use to create their single malts (in the case of Scotch) and range of blends. The grains contribute subtle influences on the resulting flavor (barrels and casks are far more persuasive), but treat these as guideposts. Let’s begin with barley, the granddaddy of the whisky grains. It is the essential ingredient in the production of Scotch whisky – notably the classic single malts – as well as whiskies from Ireland and Japan. Barley is valued most for its catalytic properties. That is, it converts starches to sugars to fire the fermentation process, which then allows the yeast to feed on those sugars. Stylistically, these whiskies tend to show a roasted, cereal flavor as subtler notes of malt and chocolate also shine through. Corn is most familiar to bourbon lovers, but it also features prominently in a number of whiskies. For bourbon, the mash bill must contain at least 51% corn, while a mix of other grains usually adds character to the blend. Overall, corn provides a sweet, fresh note to bourbon that tends to diminish the longer it is aged as the influences of the barrel take center stage. We don’t lack for character in our range of whiskies, but it’s worth noting that much of the whisky produced in Canada, even though it is commonly referred to as “rye,” is also made mainly with corn spirits. The name originally took because generations ago Canadian distillers started to introduce rye grain into the mash bill to impart that distinctively sharp, spicy and hot taste that we associate with rye. Interestingly, American producers demand at least 51% of the mash bill must be rye grain while Canada carries no stipulations on what constitutes an actual rye. Even so, more 100% Ryes are starting to appear, bringing their own distinctively fiery character. The quiet cousin of the grain family is wheat, which remains somewhat of an outlier compared to other grains. There are Wheated whiskies, which show a predominance of wheat in the mash, and these are edging their way onto shelves now. They tend to show off wheat’s softer, sweeter side with notes of bread and honey. Worried about gluten? No need. The distilling process removes gluten proteins. Given the experimental tendencies of most distillers, expect to see other grains working their way into small-batch releases. Oats, spelt, buckwheat, millet and even quinoa renditions, though rare, are out on the market. True, they may go against the grain of tradition, but you can always count on whisky enthusiasts willing to sample something different. No spirit is as woven into the American fabric as richly as bourbon. From its deep frontier roots – it was first produced by corn farmers – to the success of today’s artisan producers, it’s clear that bourbon is beloved, and not just at home. Today, a growing global audience is eager to uncap this great American heritage. First, a quick primer on what defines a bourbon. By law, it must be made with at least 51% corn, though traditional bourbon typically rings in at 70%. Rye, wheat and/or malted barley of varying amounts then round out the flavor, depending on the distiller’s preferences. Bourbon must be aged in new charred oak barrels, which can only be used once, and it has to be aged two years to be considered a straight bourbon. Though it can be made anywhere in the United States, the home of bourbon is Kentucky, where a majority of the production remains. The upsurge in cocktail culture brought bourbon to an even wider audience. Those signature caramel and vanilla flavors that are drawn from charred oak barrels impart sweet, toasty flavors that give depth to any mixed drink. Classics like the Mint Julep, Old Fashioned and Manhattan never go out of style, but with such a range of styles now available, the possibilities of mixing are inspired and endless. Johnnie Walker, Chivas Regal, Dewar’s, Ballantine’s, the Famous Grouse…one or more of these labels generally takes up residence in the typical home bar, and all are blends, a style of Scotch whisky that stands separate from single malts. In fact, fully 90 per cent of Scotch whisky sold today is a blend. Here’s why. What Is Blended Scotch Whisky? Let’s start by understanding how this limb of the Scotch family tree differs from single malts. In simplest terms, single malt whiskies are distilled exclusively from malted barley and produced by a sole distillery. By comparison, blends are the combination of possibly dozens of malted and grain whiskies from a number of different distilleries. It’s hard to compete with the prestige of single malts when the various distilleries and Scotch regions lend themselves to such perfect packaging and marketing. So for some connoisseurs, blends automatically assume second-class status. This is despite the fact that blends use whiskies from many of these famed single malt distilleries. True, blends’ production methods include grain whisky, which is more economical to produce. But is it inferior as a result? We think not. Take a closer sip and see for yourself. 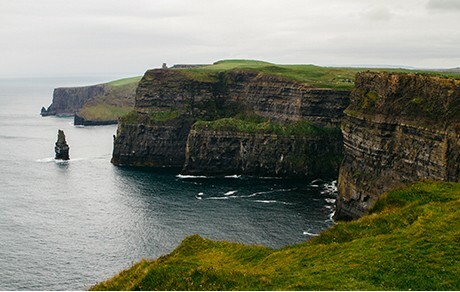 With the global rise of whisky's popularity in the past decade, it was only a matter of time before Ireland’s famed uisce beatha ("water of life") gained traction among enthusiasts. While only four main distilleries were operating in 2013, there are currently 18 at varying levels of production. Now, even smaller distillers can flourish, introducing an impressive range of authentic tastes — often at a price that offers great value. With such smooth flavors and approachable prices, it's easy to explore the range of characters and styles — pick up a few and enjoy a flight with friends. Fast becoming a customer favorite, Irish whiskey has a tale that is as tumultuous and tenacious as the history of the Emerald Isle itself. 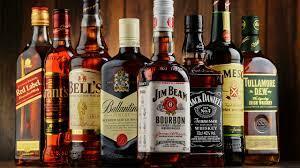 In the early 19th century, Ireland was considered the world’s major whiskey producer. It was home to Aeneas Coffey, who invented the column still that allowed for a more efficient, continuous production cycle. However, his invention wasn't embraced by Irish whiskey producers, most of whom remained loyal to the traditional pot still process. Rebuffed, Coffey headed east to set up shop and was instrumental in helping Scotch become the world’s whisky of choice. A few labels managed to keep Ireland’s whiskey reputation intact, most notably, the famed blends from Bushmills and Jameson. Both names are still revered and deeply entrenched in Irish culture, and in fact, the original Jameson Distillery on Bow Street in Dublin — which opened in 1780 — still stands as a monument to the treasured craft. Blends (such as those popularized by Jameson and Bushmills) typically combine grain and malt whiskeys. Irish single malts, like their Scottish counterparts, must be distilled from a mash of only malted barley at a single distillery and then aged in oak for three years. Irish grain whiskeys remain a relatively new category and involve the distillation of corn, wheat, rye or barley, or a combination of these grains. Most recognizable and exclusive to Ireland, though, are single pot or pure pot still whiskeys, which employ a mix of malted and unmalted barley. Originally, the addition of unmalted barley was for economics, but the resulting taste revealed a spicier character that caught on. That pure pot still method is a classic way to produce Irish whiskey. The Old Fashioned is arguably the grandfather of all cocktails. Simple yet complex, subtle yet bold, it’s easy to see why the three-ingredient classic, believed to date back to the early years of the Republic, remains so revered. Ordering an Old Fashioned at a bar will earn you an approving nod, but it’s also the perfect cocktail to master at home. Though it’s relatively easy to mix, it’s just as easy to screw up. These are a few generally accepted tenets to observe before taking a crack at an Old Fashioned. An Old Fashioned is essentially a delicious vehicle for enjoying your favorite whiskey , so choose wisely (no need to break the bank, but choose at least a solid midrange whiskey). Tradition calls for Rye , but many people prefer bourbon , and either works. The only other ingredients the drink requires—bitters and sugar—work together to enhance the spirit with a subtle sweetness. Over the years, the cocktail has evolved to sometimes include an orange slice, club soda and/or a cherry, but they’re not traditional to the drink. Sugar is one of the three pillar ingredients, so it deserves some thought. The classic way to make an Old Fashioned starts with placing a sugar cube at the bottom of a glass, adding a few dashes of bitters and a splash of water and muddling until it’s completely dissolved. This is still a great option, but many people use simple syrup for ease and convenience. Bottom line: Either will do, but absolutely never just dump in a sugar packet. An Old Fashioned calls for two to three dashes of bitters—no more, no less—that are added to the glass once the sugar or simple syrup is in. While the amount seems small, having too many or too few dashes can dramatically change the taste makeup of the drink. The type and quality of bitters matters too. Angostura bitters are always a safe and excellent choice, but orange bitters also work well. Besides sugar, whiskey and bitters, any other ingredients are uncalled for, though orange slices, cherries and soda water are commonly seen in Old Fashioneds. Many believe these extras were added during Prohibition to help cover up the sting of moonshine. In terms of the soda water, we recommend leaving it out entirely to honor the classic recipe and your well-chosen whiskey. Use a splash of regular water to dissolve the sugar cube instead. 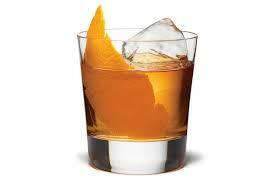 If you prefer your Old Fashioned with a cherry, just make sure not to muddle it in the glass. This is not a drink that needs a bold punch of cherry flavor or fruit floating around. Instead, add it later as a garnish, and make sure to opt for a brand such as Luxardo over the neon maraschino cherry, which is full of chemicals and dye. Of all the additions to the Old Fashioned over the years, the orange peel has become the most welcome. However, it’s also best not to add an entire orange slide and muddle it in the glass. Instead, use only a portion of the peel, shaved off the fruit with as little pith as possible, as your garnish. Back in the 1800s, ice cubes were typically cut two inches on each side, unlike the tiny versions we have today that are made to melt more quickly. If you want to be a purist (or at the very least impress your guests), keep some large cubes in the freezer ready to go. Your cocktail will remain chilled without diluting too quickly. Old Fashioneds are to be stirred, never shaken. In general, you should shake any cocktail with citrus juice, egg whites or cream, and stir all others. Use a bar spoon to steadily stir the cocktail for a maximum of 30 seconds—you want to chill it without melting the ice cube down too much. That’s what they’re for, after all. Cheers! In a single story about whiskey, you may see it spelled with and without an "e." It might seem confusing, but whiskey (and whisky) lovers place a deep importance on the spelling of their favorite spirit. Why the difference? It all comes down to location, location, location. In short, the United States and Ireland spell it "whiskey," while the rest of the world spells it "whisky." One good tool to remember is that countries with an "e" in the name (United States, Ireland) use the "e" while countries without an "e" (Scotland, Japan, India) do not. The start of whiskey spelling debate begins in the spirit's ancestral homes: Ireland and the British Isles. 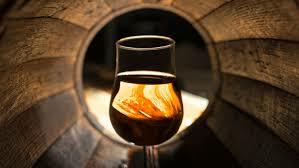 Ireland and Scotland were the first countries to seriously produce whiskey, or "uisge breatha" (water of life). Over time, it became known as whiskey. In the Irish dialect, that meant an "ey" to end the word, and in the Scottish dialect that meant only a "y." The oldest licensed distillery in the world, Ireland's Old Bushmills Distillery, has always spelled it with an "e."
From there, the divide split along colonial lines. Places that were colonized by the United Kingdom drew their whisky knowledge from the whisky they were sent, which was primarily Scotch. The Johnnie Walker Striding Man strode his way across the globe, teaching people about whisky and the Scottish way of spelling things. In early America, people initially used both Irish and Scottish spellings. A ration agreement for soldiers written by Alexander Hamilton and published in the Gazette of the United States in 1790 specified "half a jill of rum, brandy or whisky." In 1791, the same publication spelled it "whiskey" in a story about Dublin. By 1791, the U.S. government officially weighed in on the spelling (in a way) with the 1791 Excise Whiskey Tax that led to 1794's Whiskey Rebellion. The influx of Irish immigrants to the U.S. due to famine in the 1800s led to a larger Irish than Scottish influence in America. In 1840, Old Bourbon County defined the American whiskey style by using corn. The company spelled whiskey with an "e" and many of the new distilleries followed suit, such as George Dickel, Old Forester, and Maker's Mark. Scotland and England maintained sway over how the rest of the whisky-drinking world spelled the spirit. Canada kept the e-free spelling. Japan, which is relatively new in terms of whisky prevalence, doesn't use the "e" because it took inspiration from Scotland. The subtle difference can seem insignificant, but people care. Deeply. In 2008, New York Times wine critic Eric Asimov wrote a story on Scotch and spelled it the American way. He received a rash of angry emails. According to the Times style guide he was right. The Times guide wrote that "the general term covers bourbon, rye, Scotch and other liquors distilled from a mash of grain. For consistency, use this spelling even for liquors (typically Scotch) labeled whisky." The Times style guide changed later that year. When it comes to spelling, things can get contentious. Just keep in mind when buying your whiskey: Spelling matters, but taste matters more. 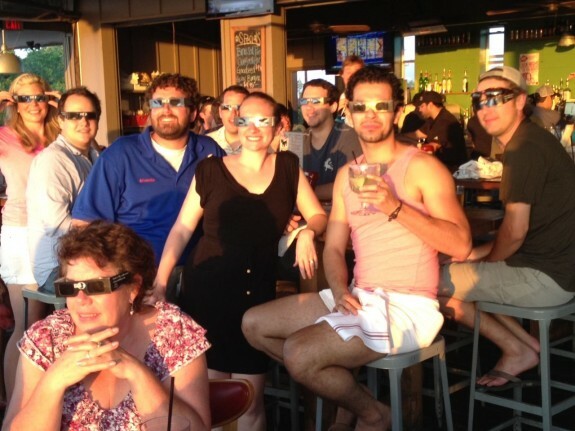 Eclipse-viewing Cocktails That Are Out of This World! According to the official NASA website: On August 21, 2017, the Earth will cross the shadow of the moon, creating a total solar eclipse. Eclipses happen about every six months, but this one is special. For the first time in almost 40 years, the path of the moon's shadow passes through the continental United States. It seems that everyone’s getting Eclipse Fever! Getting their official eclipse-viewing glasses ready, choosing the perfect spot to watch the big event and, of course, planning to host or attend an awesome Eclipse-viewing party! Whether you’re hosting or you’re just a guest, we’ve got awesome cocktail recipes that help celebrate this once-in-a-generation event and will help shoot your party into orbit! Combine ingredients in blender and whip until smooth. Pour into martini glasses and garnish rim with orange slice. Pour the ingredients into a stemmed white wine glass with ice. Stir. Garnish with mint sprigs. There you have it, a trio of cocktails that will put a solar spin on your eclipse-watching party! Get all the ingredients at your local Wine Country Store or Wine & Whiskey Country Store! 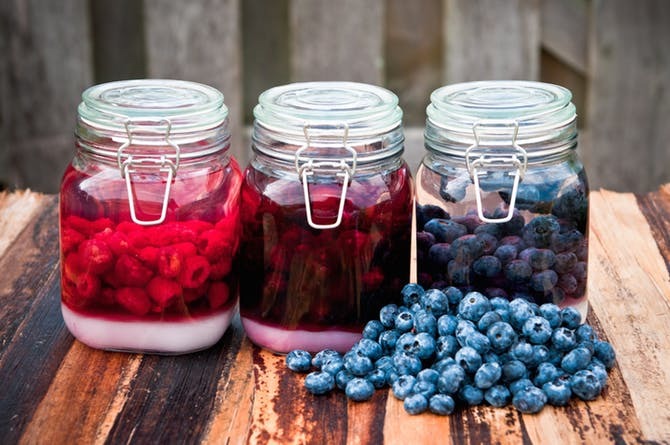 5 Fruit & Vegetable Booze Infusions You Have to Try! Take your cocktails to the next level with booze-infused fruit or tipsy veggies. Simple, refreshing, easy to make. Grab your favorite produce, a few mason jars and your favorite spirit and join the infusion craze! Nothing says summer like a refreshing peach cocktail. To make: Remove the peach skin, slice flesh and store in a mason jar with bourbon for three days. Hint: Try pouring over ice cream for a grown-up treat. Slice cucumbers and add to a jar with a few basic leaves and your choice of gin. Chill and serve. Fantastic! Spicy cocktails get you going? You’ll love this one. Slice peppers and let them soak in tequila for a few hours or a full week — the longer you soak, the hotter it gets. Strain peppers and seeds and add to your margarita for a cocktail that’s kicked up a notch. Muddle the berries in a jar with vodka and let it sit for a few days before straining adding to your favorite cocktail. Berry, berry good! Cut cherries in half and remove the pit and stem. Soak in bourbon for at least one week to extract as much juicy cherry flavor as possible. Strain cherries, pour and enjoy! Don’t see your favorite fruit here? Relax, you can make endless boozy infusions using the fruits and veggies of your choosing. It’s a great way to experiment and get creative with your summer cocktails. Cheers! 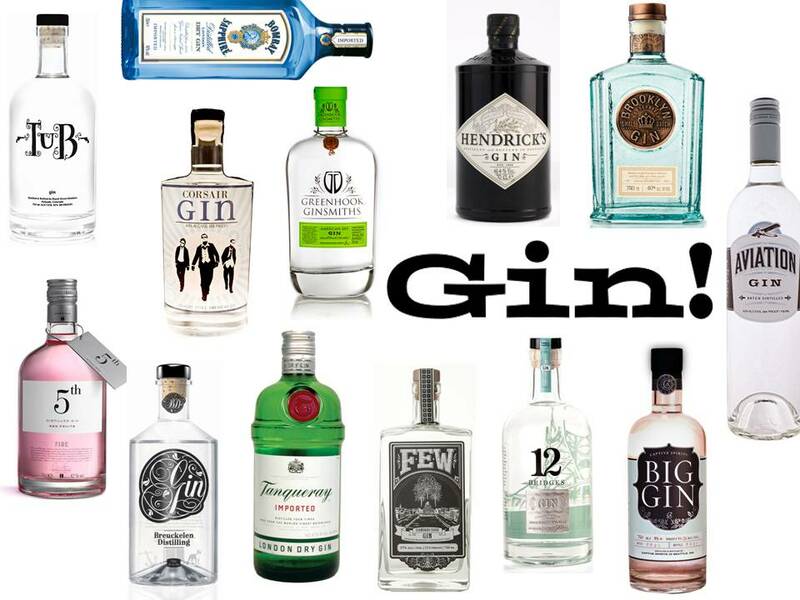 Locales with rich gin history run from Holland (where it all started) to Italy (where they, too, claim gin started) to London (epicenter of consumption, flag-bearer for gin style) to Scotland (which makes more than two-thirds of the gin in the UK) to Spain (where “Gin Tonics” have developed into a national specialty) and, naturally, to America. Here, artisans and big brands alike are riding a current upswing in gin momentum, both off- and on-premise, and with a tilt toward the high end. Meanwhile, the gin-sipping public appears increasingly open to the particular possibilities of gin, whose styles nowadays often take juniper as a starting point rather than focus. 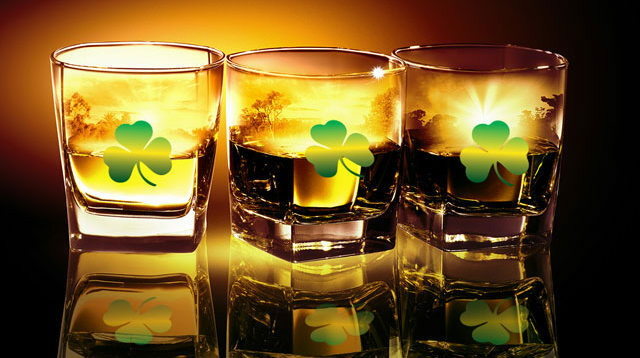 • Toast to Ireland with your favorite Irish Whiskey. Beautiful, amber colored liquid gold in your glass. Smooth, aromatic, with an ultra long silky finish. A blend of their own unique triple distilled malt whiskey and a lighter grain whiskey. You’ll notice it’s rich, smooth warming taste almost instantly. It’s an easy drinking, versatile whiskey that can be enjoyed neat, over ice or with your favorite mixer. Born in the heart of Ireland in 1829, with a complex taste derived from three types of grain, triple distillation and the blend of all three Irish whiskeys. Early fresh fruit leads to a definite light spike followed by some toasted wood which evolves into a delicious vanilla sweetness in this whiskey. Easy going and approachable, but with its own distinctive style. The finest grain and malt whiskeys are blended together for a smooth, sweet taste and lovely malt finish, a characteristic of our pot still that is over 180 year old and still at the heart of Kilbeggan Irish whiskey. Twice charred for a good measure, it’s a triple distilled blend of rich pot still and grain whiskey that is matured in a mixture of sherry casks and bourbon barrels. The flavor is intense and enhanced – the grain whiskey in specially flame charred bourbon barrels delivers more concentrated spice, nutty notes and vanilla sweetness, while the pot still whiskey in sherry casks adds sherry fruit flavors and a rich finish. Crafted in the heart of Ireland from malted and un-malted barley, which are milled and mashed before being distilled through a traditional pot still. An aroma of butterscotch, caramel, honeyed oak, pine and orange that gives way to notes of citrus, tart apples, plums and apricots on the palate. The finish is smooth yet slightly spicy, with a touch of cinnamon and ginger. Distilled in the old Irish tradition this pure pot still single malt whiskey uses only the most natural Irish ingredients of barley and fresh spring water. The resulting whiskey is then left to peacefully mature in oak casks stored in 200-year-old granite warehouses allowing it to develop its full flavor and character. Bootlegger Gin: So good, you can leave out the tonic! At Wine Country’s recent “Evening of Wine & Whiskey” sponsored by The Ahavath Torah Sisterhood of Englewood, NJ, we had an opportunity to try some truly incredible wines, but some of the biggest surprises of the night had nothing to do with wine at all. One of the best things we tried came from Prohibition Distillery. It was a gin different from any we had tasted before. It was smooth, didn’t burn at all and was actually good enough to sip… without any tonic. Founder and Master Distiller of Prohibition Distillery Brian Facquet, spent time explaining the history of gin to us (originating in Holland or Belgium several hundred years ago) and detailed what made his gin really stand out (and believe us, it does). Our Gin is created from the combination of five botanicals. We spent four years perfecting this special recipe and proud to bring its complex, yet dry, “Old World Gin” flavor to your palate today. We were inspired by the classic London dry gins that use a maceration process and a simple botanical blend. Our goal was to have a Juniper forward gin and pull complementary floral, earthy and citrus notes from the Coriander seeds, Lemon Verbena leaves, Orris Root, also known as Iris root, and bitter orange peels. We steep our botanicals in 120 proof neutral spirit made from 100% Corn for 24 hours to produce our maceration. We then distill the gin in our 300 gallon pot still to remove all of the color and bind the flavors. The “Hearts” are captured and blended down to 94 proof for bottling. Our gin is Gluten Free and Certified Kosher from the Orthodox Union. 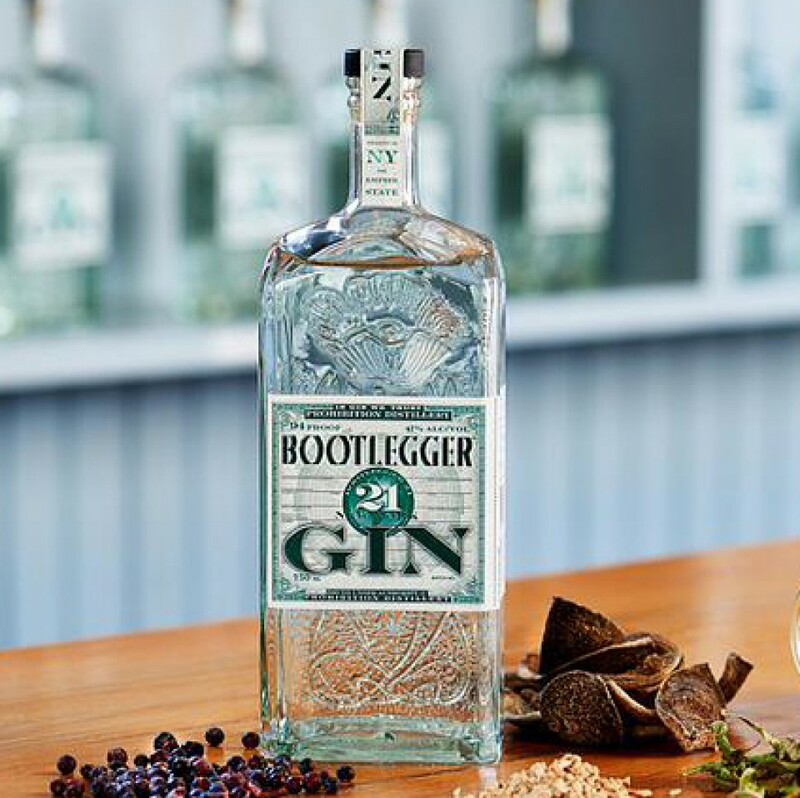 So when you’d like to indulge your senses in a highly refined botanical blend, give our Bootlegger 21 NY Gin a taste and let at least one of your senses have five reasons to cheer. Feel like trying some Bootlegger Gin now, don’t you? Well good luck finding this Micro Distillery’s gin just anywhere. It’s only available at select retailers… but WE HAVE IT. That’s right, WE HAVE IT. At every Wine Country Store and Wine & Whiskey Country store. Come in and pick up a bottle today and if you forget the tonic, that’s absolutely ok! Cheers! Looking for a Real “Find” in Genuine Scotch Whisky? Give “The Lost Distillery Company” Whiskies a Try! Hard to believe, but almost one hundred of Scotland’s malt whisky distilleries have either closed or been destroyed in the last century. That’s nearly half of the distilleries that have ever existed in Scotland…gone — due to over production, prohibition, bad economies and even world wars. Many of these unique brands were lost to the world…never to return…until The Lost Distillery Company was founded. 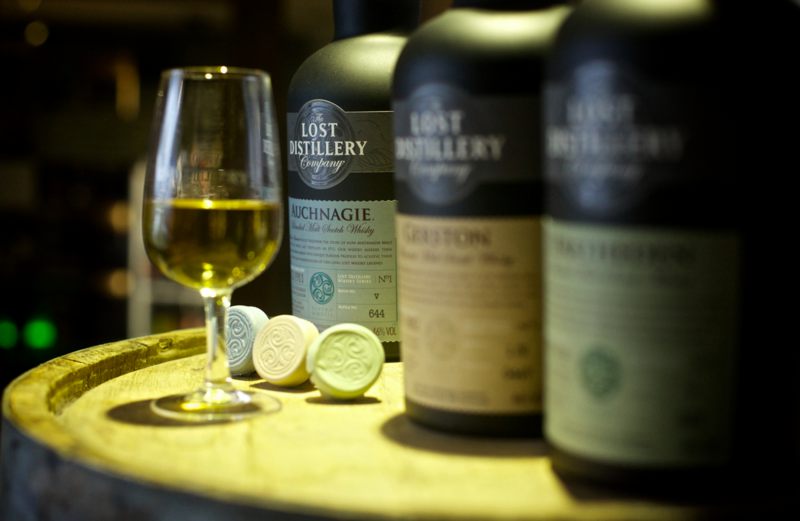 An independent boutique Scotch Whisky company, The Lost Distillery Company is dedicated to creating present day expressions of legendary whiskies. According to The Lost Distillery Company: “There is no magic formula to what we do. We don’t have a warehouse full of old forgotten whisky, we don’t have a secret recipe or DNA analysis and we don’t have plans to reopen any of these lost distilleries. The answer to what we do lies in the history books. The process begins with our Archiving Team led by Professor Michael Moss from The University of Glasgow. Focussing on the 10 key components that influenc the original character of these long lost whiskies, the Archiving Team play a pivot role in evidencing how that spirit might have tasted when it was last distilled. While we could argue that there are a number of elements of the production process that are pivotal to the final taste of the whisky, we focus on what we consider to be ten most important. Depending on the availability of information from our research, we are able to make certain assumptions as to what the profile of these whiskies might have been. 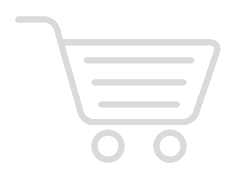 ERA – The date of the last distillation is critically important. As with most manufacturing businesses, fashions and processes change. Mechanisation brought increased consistency to the process, while expansion of the railways sponsored the construction of much bigger distilleries. LOCALITY – Neighbouring distilleries may have used similar sources of water, barley and yeast. They may have shared expertise that still survives today in working distilleries. WOOD – After production, what type of wood was used to store or transport the whisky to its destination? Did this have an impact on the final flavour? What did the barrel have in it before it was used for whisky? This would have had a significant effect on the whisky’s taste. A marriage of aged single malts. Consistently good, with rich flavors of peat, almonds, pear and pepper. Well balanced, with great body. The perfect entry-level whisky bursting with malty flavors of orange peel, chocolate and peat. In a word, brilliant. Can hold its own against any single malt scotch, with flavor profiles that include ripe fruit, toffee, malt and spice. A light dram for sunny afternoons, exhibiting solid craftsmanship and rich floral flavors, honeyed dried fruits and pepper. Surprisingly sweet and peppery, with a hint of salt and a warming, medium-length finish and lingering heat. Similar in style to the Archivists Selection edition, but with far more complexity. A true whisky lover’s whisky. An unusual, antique taste, which holds up well with a drop of water, although the smoky element is reduced. Smooth texture, with a sweet taste and a surprising amount of smoke in the finish. Pleasantly sweet and spicy, particularly straight from the bottle, with traces of apple and vanilla, and a warming medium-length finish, plus an old fashioned “hemp rope” scent that adds a unique vintage charm. Taste them all, and literally hundreds of other wines and spirits at the Evening of Wine & Whiskey on Saturday, January 7th. Get your tickets today at http://www.ahavathtorah.org/sisterhoodevents.